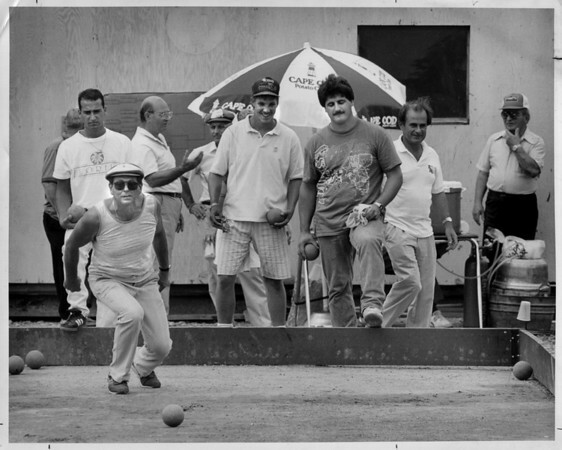 From left to right - Dino Ceccato of pendleton, throws the Bocce Balls, during a game with other lockport residents. The Power City Lodge had a hand in building these Bocce courts near the Italian Festival at E. Dent Lackey Plaza. Residents of Niagara Falls, Canada, Niagara Falls, USA and Lockport participated. Photo - by Elisa Olderman - 7/7/1991.